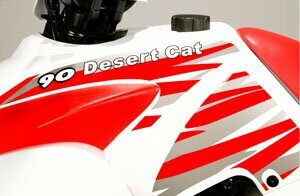 the Unison 90cc atv has Aggressive styling. Additionally, it has a longer and wider wheelbase for more stability at higher speeds. 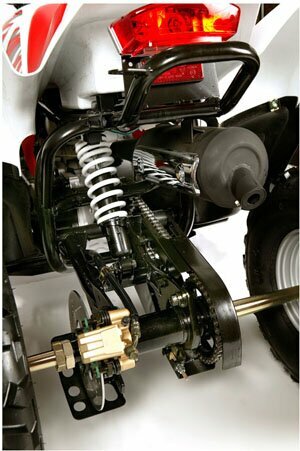 The 90cc atv also has adjustable brakes and governor. All in one Design: On/Off Switch. Automatic CVT Transmission. Automatic oil injection, no premix needed. 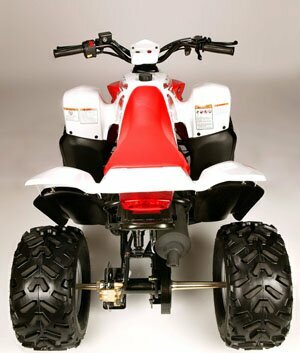 The 90cc ATV's Battery is a 7amp model. The Unison 90 ATV has a Chain Tensioner, Dual Front & Single Rear Adjustable Shocks, Dust free ATV cover & Flag. 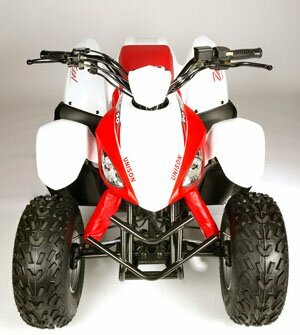 The Unison 90cc ATV incorporates an electric start with back-up kick starter, an Engine stop switch for safety, Rear-Hydraulic Disc Brake, an Oil Tank low indicator light, Parking Brake and Simple field tool kit and owners manual under the seat. This 90 ATV comes with a free water proof/dust proof cover, 1 pair of shock covers, and flags. 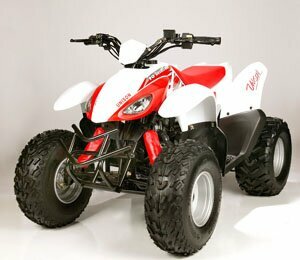 With the Unsion 90cc ATV chattering teeth and bouncy handle bars are a thing of the past. Thick, foam padded seat and plush suspension provide excellent handling while making a more comfortable ride for those longer trails. The Unsion 90 ATV has a two-stroke engines which are known for their easy maintenance, great power band and with the help of oil injection there will be more time for riding. 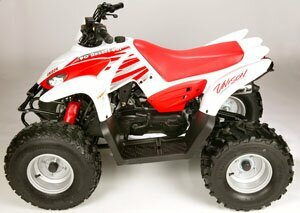 The Unison 90cc ATV is a great kids ATV for an aspiring beginner, Call us toll free to order yours today! Size L x W x H 58" x 36" x 37"